Born in Newport of Welsh-Maltese parentage, Vassallo became a schoolboy international for Wales and an apprentice with Arsenal, signing professional terms in May 1973. Without a first team opportunity at Highbury, he left London in November 1974, still only 18 years old, to sign for Tony Waiters' Argyle for £10,000. At Home Park he found the ever improving rising star of Paul Mariner an almost insurmountable obstacle and first team opportunities were very limited. 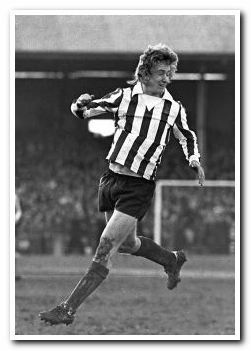 He made just a handful of appearances in the 1974-75 promotion-wining side and after little over a dozen appearances and three goals in total, across two seasons, he left to join Aldershot. However he failed to make a first team appearance for The Shots and returned to Devon to sign for Barnstaple Town. In March 1977 he was offered the chance of a second shot in the League when he signed for Torquay United for £3,000, and in a three-year spell he played 46 times and scored four goals. After playing his last League game for The Gulls in November 1978, he moved back into non-league football with Bridgend Town. Spells with Kidderminster Harriers, Merthyr Tydfil and Gloucester City followed before injury forced him to retire from the game. He was awarded a testimonial by Gloucester City in the 1987-88 season with an Arsenal team the visitors, attracting an impressive 3,952 crowd. After The Gunners' visit to Meadow Park he turned up at the stadium a few days later to collect his testimonial cheque only to be persuaded to play a first team match later that evening because of a player shortage. 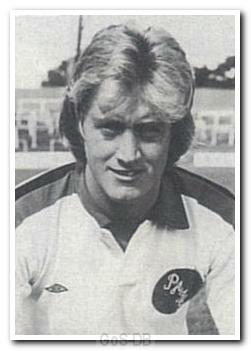 This wasn't a one-off either; he later came out of retirement to play for Newport County and Cinderford Town. After retiring fully and finally as a semi-professional player, he had three separate spells in charge of Chepstow Town, stretching over almost a decade. Starting in 1997, and with a spell managing Caldicot Town AFC in between, his third and last spell with Chepstow ended in July 2006.